WF Athletic Supply Short Two-Tier Kettlebell Rack, stop tucking your kettlebells underneath your dumbbell racks. Get them up off the floor and onto a fully welded frame with rubber sheet-lined trays. Kettlebells are the hottest thing from Russia since... Maria Sharapova. Or maybe those tall fuzzy hats. Anyway, when you're done torturing your body with the bells, you can park them here. 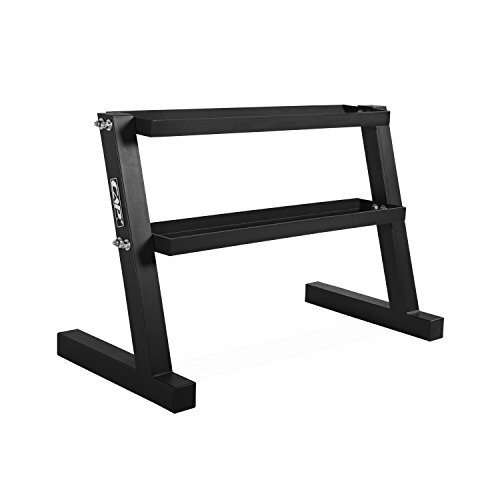 WF Athletics Supply three-inch tubing Long Kettlebell Rack provides the solid stability you need in a storage rack.